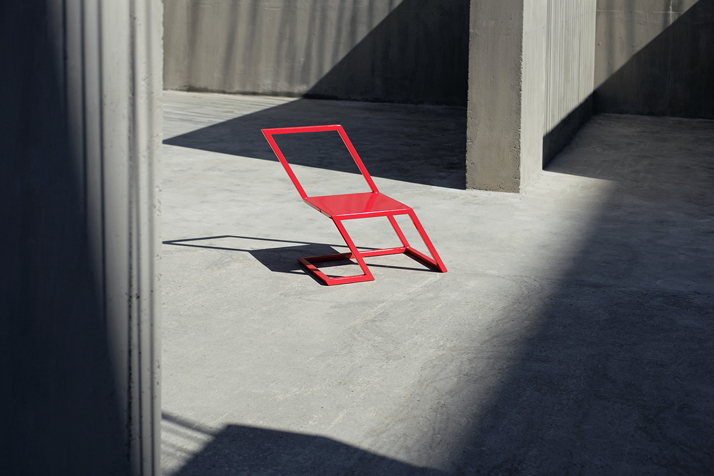 Based in Tbilisi, Georgia, design studio ‘XYZ Integrated Architecture’ has an affinity for tilted axes and acute angles. 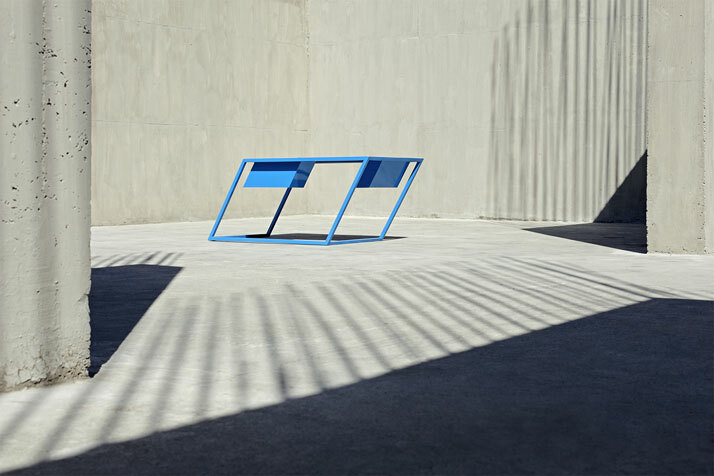 The studio’s characteristic approach is ever-present in their series of furniture, namely chairs and tables, which have been designed to tilt as if they are collapsing on one side. 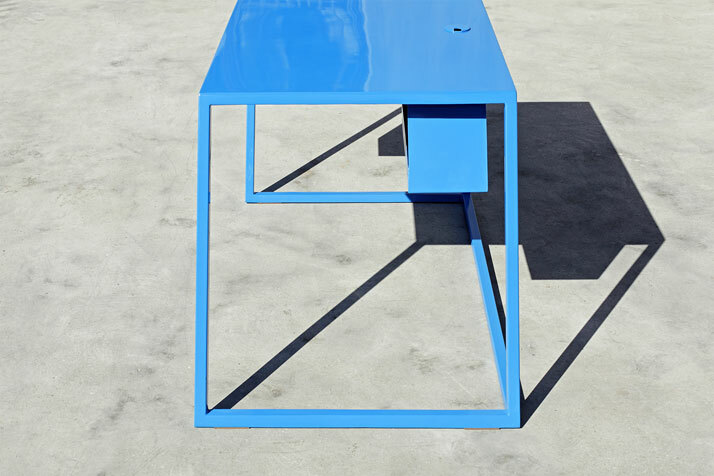 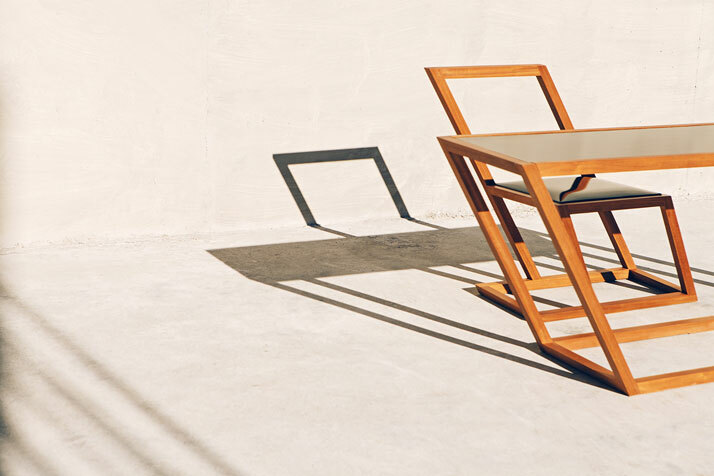 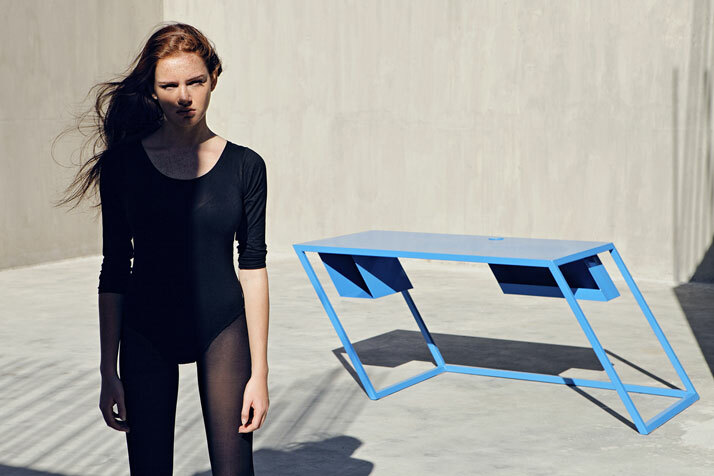 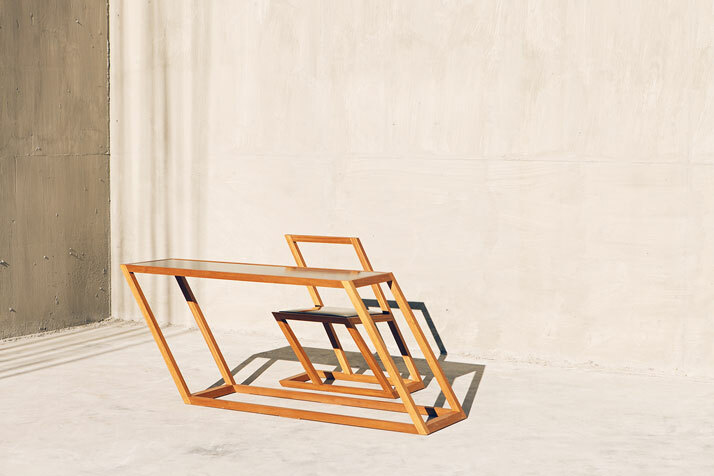 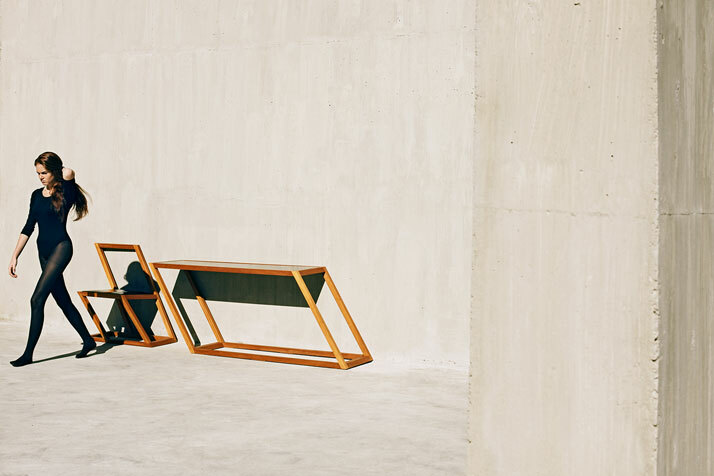 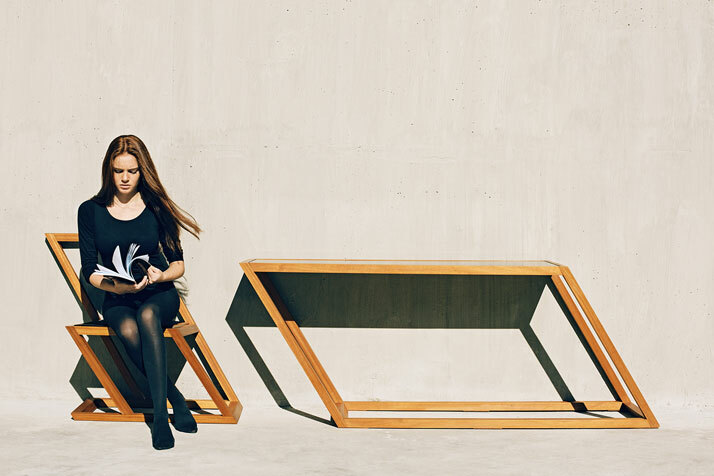 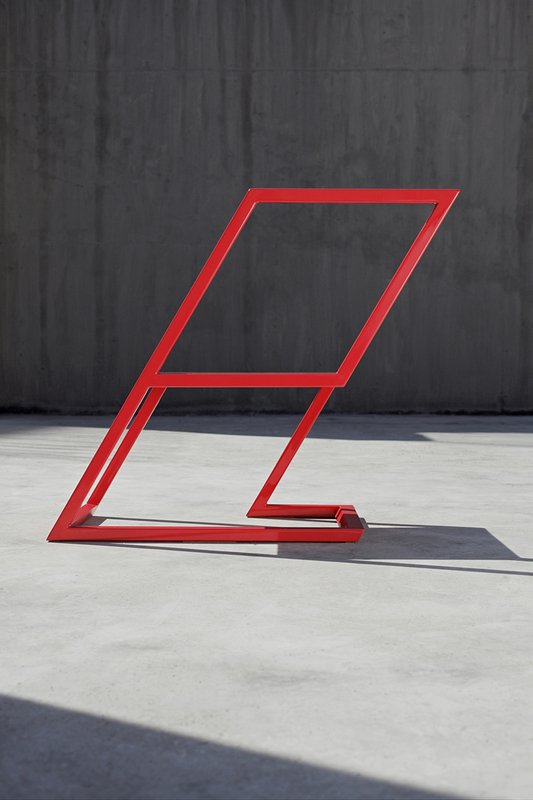 The ‘60’ series – apparently named after the 60-degree angle in which the pieces of furniture sway off their vertical axis – consists of hand-made furniture which were produced as unique prototypes in 2011 and 2012. 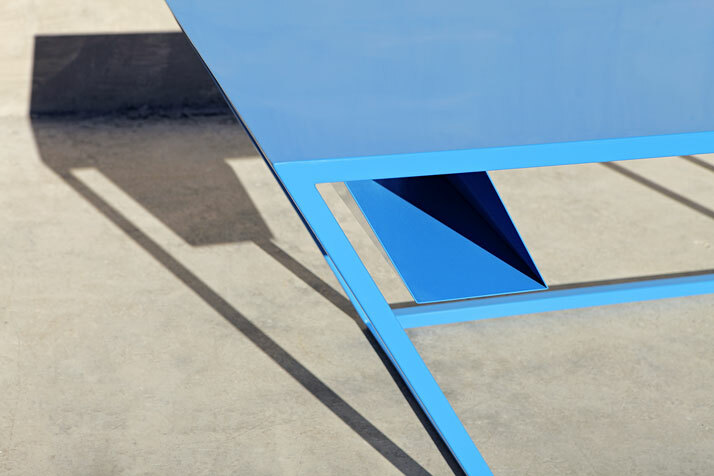 The ‘60 Red Chair’ and ‘60 Blue Table’ come in painted steel, while the ‘60 Console and Chair’ set is made of mahogany in a rich yellow hue, upholstered with shiny brown leather. 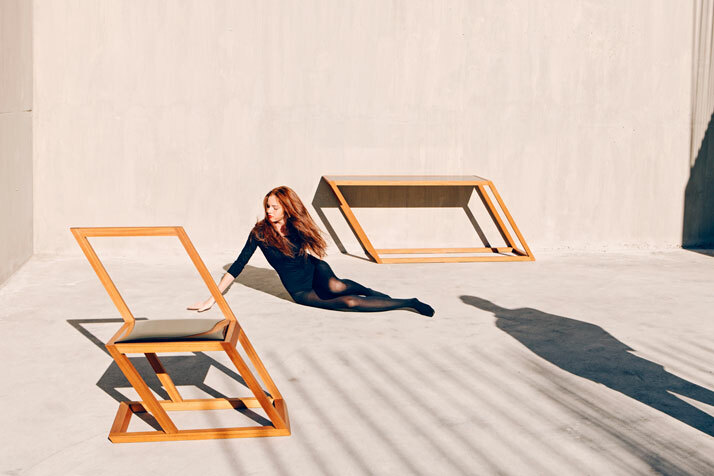 Playfully exploring the connection between tilting bodies, oblique light and the furniture’s unique design, the imaginative photos published here were produced by Tbilisi-based photography agency NakaniMamasaxlisi. 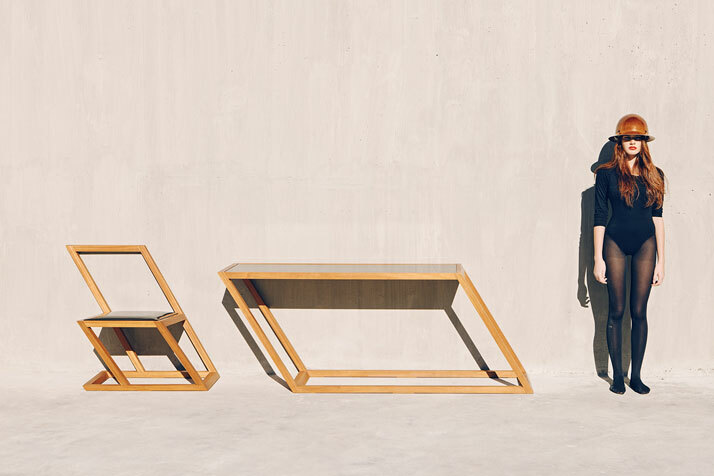 We assume that the prototypes of the furniture series are part of a private collection by now, but if you are interested, don’t hesitate to contact the studio for more information.